When you think of Casinos a number of images spring to mind. Glitzy venues with millionaires in Ferraris pulling up outside, sipping cocktails and high rollers spending a fortune while the rest of us enjoy the slot machines and Roulette wheel. Casinos have always maintained this aspiring image of luxury and opulence to entice us all in. It’s an enduring image that has lasted many decades now and has also been replicated all over the world with ingenious levels of creativity to lure us through their doors. In fact some casinos have become so famous they are the reason you may visit a destination now. So here’s my look at the 3 best Casino holidays around the world and why you may want to visit. Lets start at one of the most historic and opulent settings of them all. Monte Carlo is a town just oozing glamour and sophistication on every street. With a population of just 38,000 it has the highest number of millionaires per capita, comfortably beating its nearest rival. You’ll see supercars cruising around the streets and champagne bottles being opened at every restaurant and bar in town. With its beautiful Marina and the Prince’s Palace high up on the rocks this place just oozes style and sophistication. Its annual Formula 1 Grand Prix is one of the best races of the season and a race on the streets of Monte Carlo has been held here since 1929! 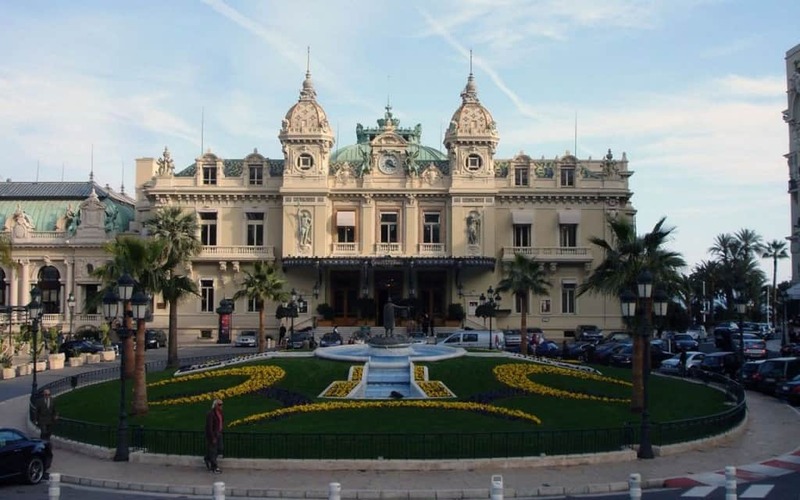 But the real lure here is the Casino de Monte Carlo, one of the most historic buildings in the town. Its been on its current site since 1858 and along with its neighbour the Hotel du Paris create one of the most beautiful areas of the two too. The Casino is the historic centre of Monte Carlo and you’ll find there are numerous guided tours of the premises outside of gaming hours. During gaming hours you’ll need to pay 10 euros for entry and there’s plenty of tables and slot machines to entertain you and burn a hole in your pocket. If you’ve got the cash you can take your chances on the tables and win big, but for the rest of us just soak up the atmosphere of this legendary and beautiful casino. 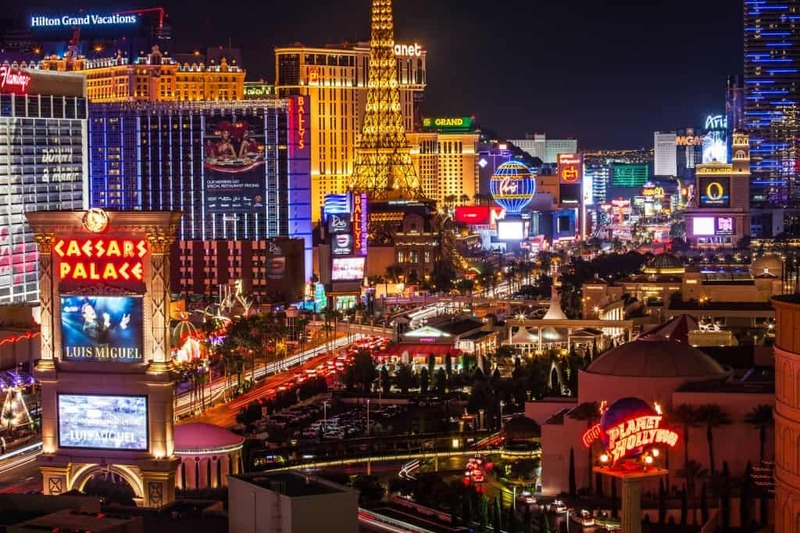 No Casino guide would be complete without mentioning Las Vegas. An obvious choice I’m sure you’ll agree as there is nowhere on earth more synonymous with gambling than the “City of lights”. Situated in the Nevada Desert, Vegas is a shrine to human engineering as much as it is casinos. Really Vegas shouldn’t exist at all as it was built out in the dusty landscape with no water source of its own. Thanks to impressive human endeavour what was once a small strip of buildings has become a gleaming holiday resort city with casinos forever trying to out-do each other. Many have come and gone over the decades, being replaced by increasingly impressive and creative structures. You’ll find all sorts of buildings here, the Eiffel Tower, an Egyptian Pyramid, the Statue of Liberty just to mention a few. The casino hotels are surprisingly cheap and the drinks are free as long as you’re playing on their tables. All of this is enough to entice nearly 40 million people every year to this city in the desert. There’s a dazzling array of entertainment here too besides all the gambling. Famous acts perform daily and many of the casino’s theatres, there’s stage shows and large action recreations, fountain displays and endless shopping opportunities too. While holiday packages are very reasonable you’ll be sure to spend the rest of your budget on the strip. Las Vegas should be on everyone’s bucket-list for an unforgettable holiday, high on our Casino US list! 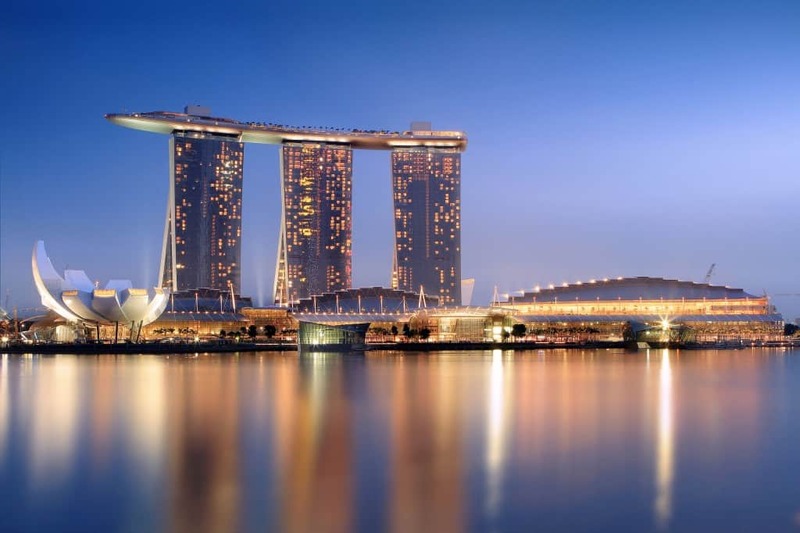 A relative newcomer to the Casino world, Singapore recently relaxed its gambling laws in order to allow some large scale developments take place in the heart of the city. The Marina Bay Sands cost some $4.7 billion to build on reclaimed land and instantly became Singapore’s most iconic building. 6 large skyscrapers make up the hotel, with 2 buildings leaning in towards each other creating a huge atrium inside. On top of the 3 towers there’s a beautiful bridge linking them together, in the shape of a boat. Up here you’ll find the world’s highest infinity pool with breathtaking views of the city skyline, a restaurant and nightclub as well as an observation deck. The Casino itself is hidden within the shopping and convention centre buildings in front of the hotel. A massive and lavish gaming area with tight security and copious tables and slot machines. There’s also a number Chinese variations on the traditional gambling games which are worth a look. All of this is surrounded by endless entertainment options, a Art & Science museum, nightclubs, restaurants and food courts, as well as a massive “Gardens by the bay” park that is definitely worth checking out. Singapore has become a destination to explore for a week or more, brushing off its connecting-flight image of the past. Now its definitely a country that offers so much more.